Cairns Airport is one of Australia’s leading regional airports, providing air links to a range of domestic and international locations. 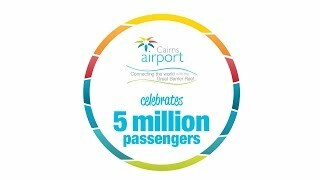 Cairns Airport is Australia’s seventh busiest for international passengers with direct flights from Tokyo, Osaka, Hong Kong, Singapore, Bali, Manila, Auckland and Port Moresby. There are also seasonal flights from Shanghai and Seoul.